WORLD’S FASTEST GROWING INDUSTRY IS COMPLETELY UNDER THE RADAR! 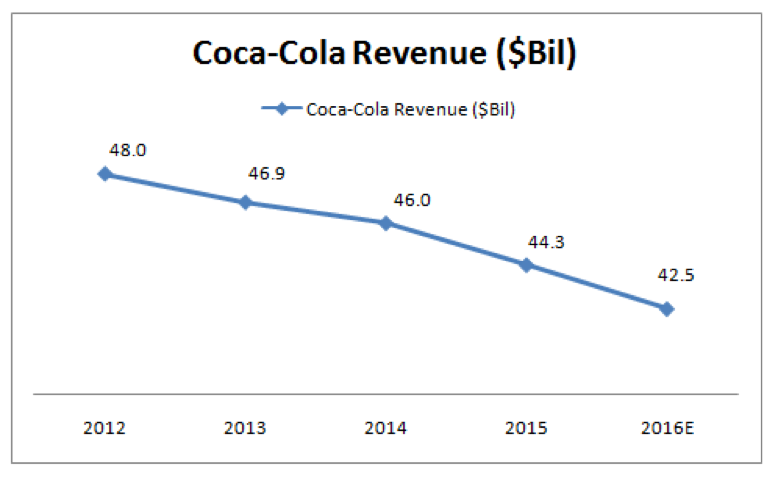 PEPSICO; DR. PEPPER (SNAPPLE GROUP) MAKING MOVES INTO FUNCTIONAL BEVERAGE INDUSTRY! There’s a giant, new industry forming in the U.S., Europe, and Australia right now, with an emphasis on North America. Early venture capitalists are already beginning to position, but these are definitely the early days of the 2nd wave in the consumer demand for beverages. 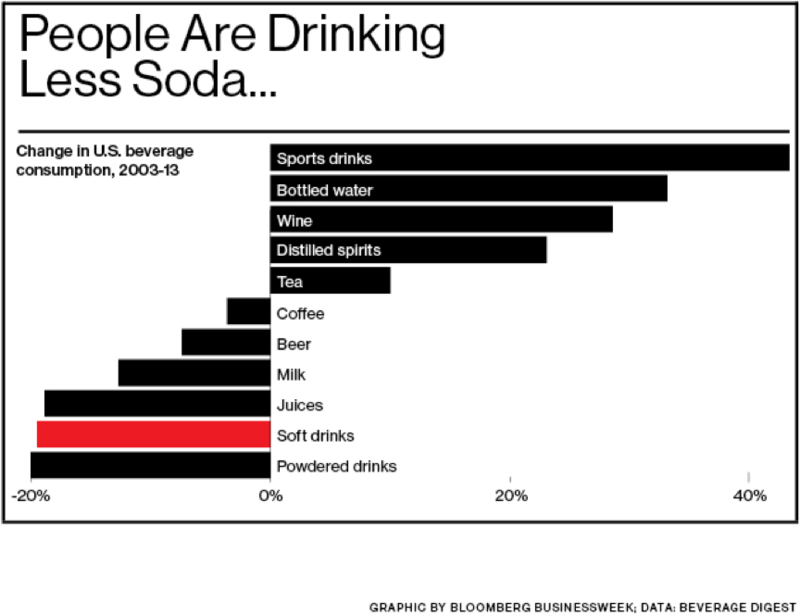 We already know that carbonated drinks, sodas, and sugared-juices have experienced sales declines for years, while energy drinks are on the rise. I was an early shareholder of Monster Beverages, before Coca-Cola took it over, so I know how profitable a new, successful stock can be (Monster is a rare 100-bagger). Every $10,000 invested matured to over a $1,000,000 in less than a decade – it’s a rare, unbelievable success story. That trade inspired me to research the cannabis industry four years ago, right after Colorado legalized it, and cover the best opportunities at Wealth Research Group, our signature financial newsletter. The idea being that cannabis offers the most monumental development in recreational substances since alcohol was made legal in the 1930s, and it is also a game-changing development in the medicinal front, which led us to many triple-digit winners over the past three years. Wealth Research Group follows major trends, while they are still under the radar. While searching for another cannabis-focused business, my attention was diverted by a new segment called nootropics. Beverages have created numerous hundred billion dollar companies over the past century, including Coca-Cola, Pepsico, Anheuser-Busch InBev (owner of Budweiser), Diageo (owner of Johnnie Walker), Constellation Brands (I hold a big position with them—owner of Corona Beer; the company just acquired a stake in a cannabis business as well), and many others. The truth of the matter is that drinking is a must, and most people do not only settle for water. Drinking is entertainment, but the newest consumer trends show that individuals now want nutritional value from their beverages, not just from their foods. This is how our niche experts found nootropics. More importantly, we found a newly listed company (May 2nd, 2018 IPO), which also uses a proprietary formula that requires hemp oil. Look into this company immediately! Nootropics are cognitive enhancers, which are drugs and natural extracts that improve functions such as memory, creativity, and motivation in healthy individuals. These products are being sold to academics and professionals to maximize their brain function. Memory enhancement currently holds the largest revenue share. Everyone is aware that caffeine and the chemicals injected into our energy drinks are harmful, but now consumers are voting with their wallets. Wealth Research Group has identified a growing awareness among students and executives about the benefits of nootropics. 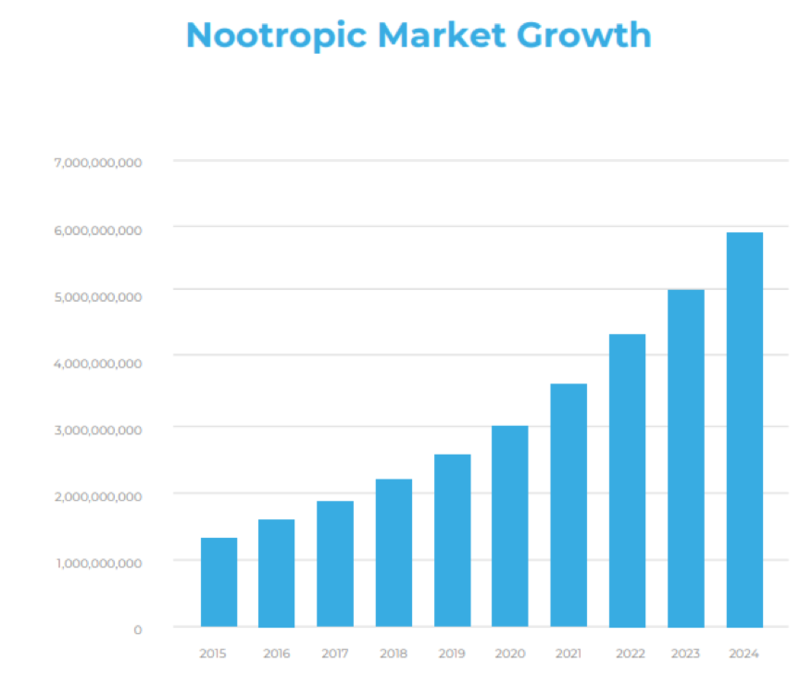 North America is the largest consumer of nootropics, which is why Koios Beverage (CSE: KBEV & US: SNOVF) focuses exclusively on this market. Supplements are one of the most stable consumer trends around. 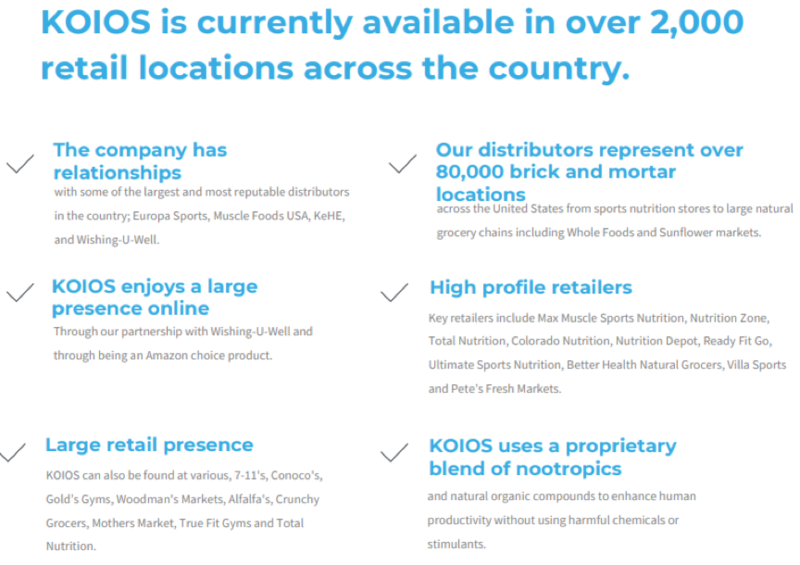 In fact, Koios not only has a line of drinks, but supplements as well. About half of all adults take some kind of vitamin. I already knew this was a tremendous growth industry, but when I saw Pepsico acquiring Kevita for $200M and Dr. Pepper making a huge play as well, I called my contacts in Silicon Valley. They confirmed that VC money (Venture Capital) is also pursuing to capture massive returns, as this new sector expands into Asia as well. As you know, Red Bull started in Thailand, though it was founded by an Austrian. Performance drinks use many herbs and minerals known in the east, for centuries, as mental enhancers. The idea, though, is to find a company that holds a proprietary formula and has an extensive distribution network. 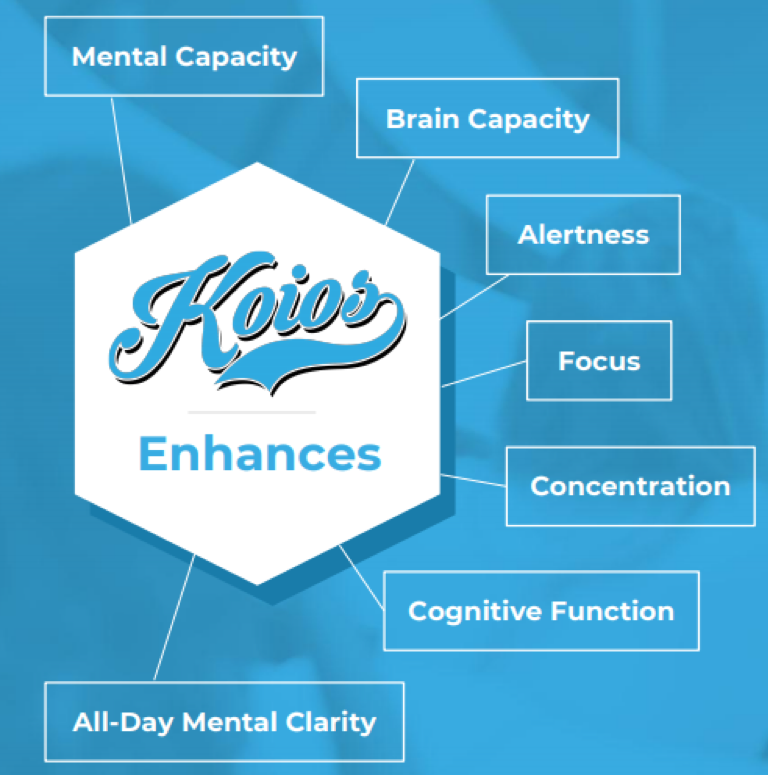 Koios Beverages (CSE: KBEV & SNOVF), my No.1 nootropics play, has just that. They are spread out among thousands of sales points in the U.S. and growing fast. Their secret weapon is that they use MCT oil and hemp oil in a number of their products, so they appeal to a large segment of the population. Their website is designed to educate and process online orders, while their retail presence is impressive; their availability on Amazon is a key advantage. Wealth Research Group is going to cover updates for the company, as well as release a CEO interview soon. This work is based on SEC filings, current events, interviews, corporate press releases and what we've learned as financial journalists. It may contain errors and you shouldn't make any investment decision based solely on what you read here. It's your money and your responsibility. The information herein is not intended to be personal legal or investment advice and may not be appropriate or applicable for all readers. If personal advice is needed, the services of a qualified legal, investment or tax professional should be sought. Get the Exclusive Report on Koios Beverages now!